Be warned – this service does not come cheap, there again neither does an out of hours plumber if you think about it, but even though creating an heirloom of the future might initially sting a bit just think of all those future generations yet to be begat who will benefit from your undoubted foresight. 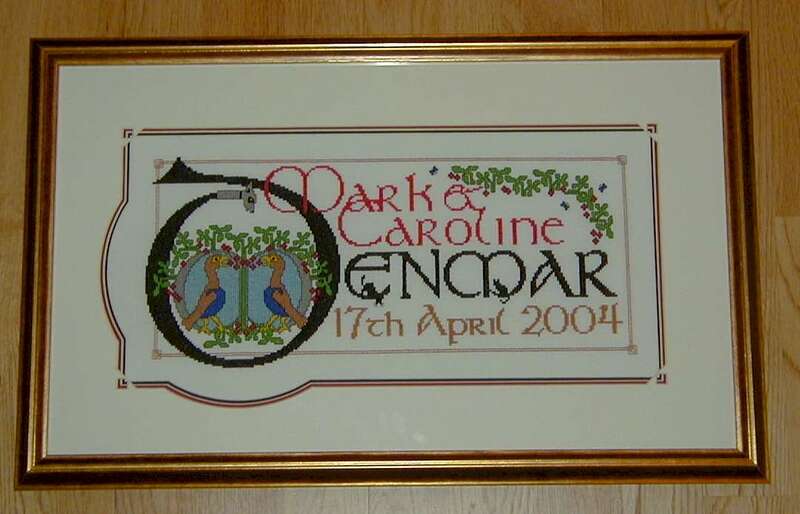 Prices start at £300 for something bijoux and discreet (150 x 150 stitches), rather like a penthouse in Mayfair, but really the sky is the limit should you feel the sudden, urgent desire to clad the walls of your castle with a Long Dog of Bayeux tapestry proportions although the vast majority of commissions tend to come in somewhere between £500-£750 for a piece approximately 350 x 350 stitches give or take a couple. Continued apologies but I am still not in a position to accept any new commissions at the present time. 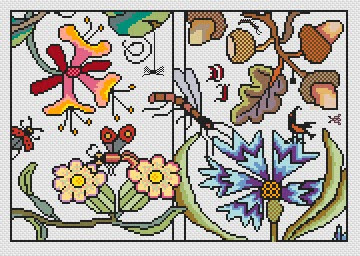 I have several promises yet to honour and I’m also working most of the hours under the sun (and moon) designing and stitching new samplers for the website. In idle moments, wearing my khaki bush hat bedecked with raven feathers and the odd dropping or two, I’m exploring hitherto “uncharted” regions for Long Dog to poke it’s long, wet nose into. So please, continue to hold onto those thoughts and ideas just a little longer and when life becomes marginally less hectic it will be my pleasure to attempt to do them justice. This black beauty is called Lou’s Dream and is my first designing trip to the antipodes. 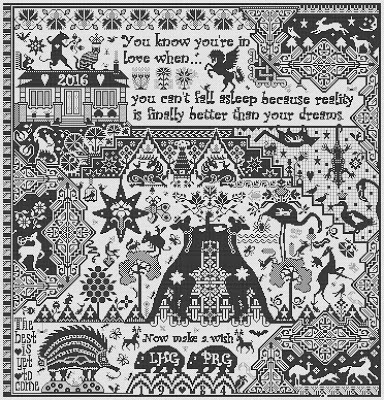 It features all sorts of kritters from Australia as well as my imagination and the house in the top left hand corner was worked from photo’s supplied by the client. Rats in Oz are on the large size and the family cat Nev is in for a nasty surprise when he turns round! This commission came from a little closer to home and my brief was to include a depiction of the great god Pan together with a special verse and all the family pets. A quick hop across the pond to the USA. 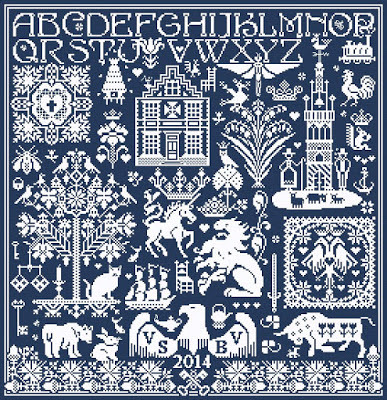 The clue’s in the big American eagle down at the bottom although there are European touches and lots else besides with each individual motif being of special significance to the proud owner. 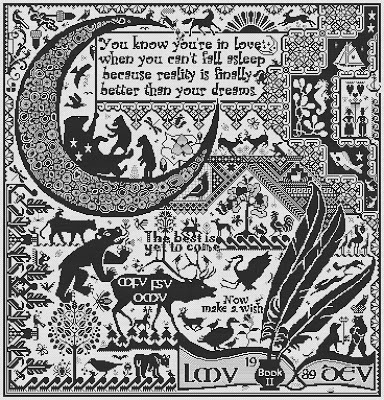 Great minds think alike when it comes to chosing the wording for a sampler and having seen the sentiment expressed on Lou’s Dream nothing else would do for this special commission called Book II. Tree of Dreams was an absolute pleasure to work on right down to the little owl peeping out of a hole in the tree trunk. 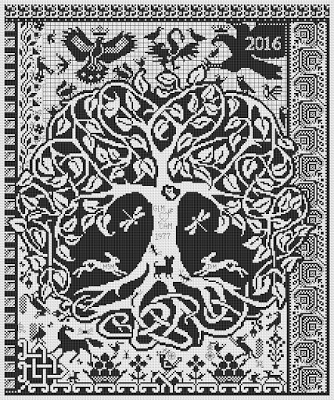 This little project is a cover for an A5 notepad so, you see, these designs don’t just have to be for samplers to decorate the walls of your country seat. 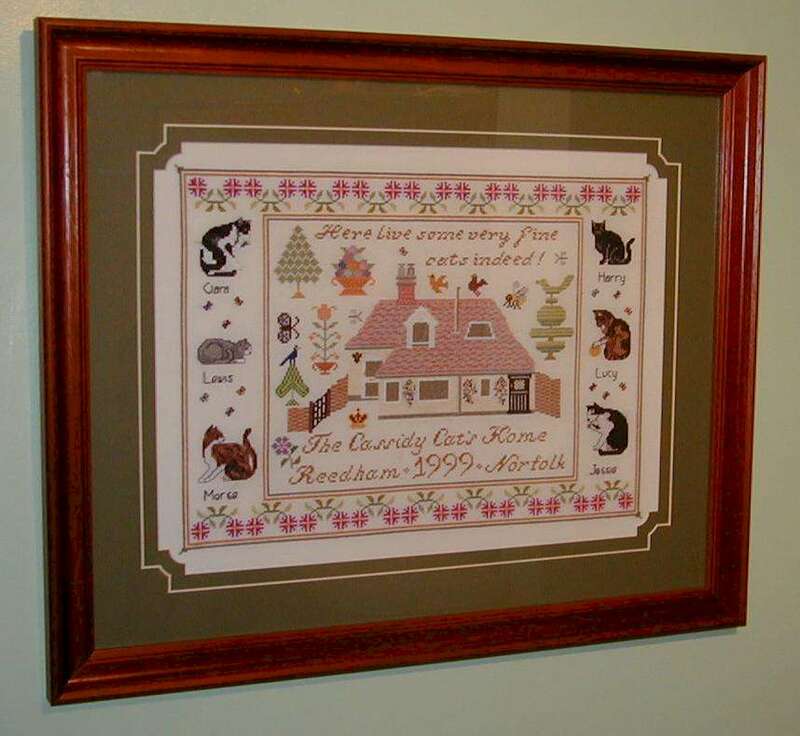 The Cassidy Cat’s Home – this one was a bit of a jigsaw to piece together as I initially worked from photo’s of the cottage taken from all angles, photo’s of the cats in a multitude of poses and a few traditional motifs thrown in for good measure. Sadly the only survivor now is the one bottom right as a good few sachets of Whiska’s have passed through their bowls since this design was created. And I replied, slightly breathlessly two days later – “Voila!” Job done. It’s not only sailors who stitch you know. 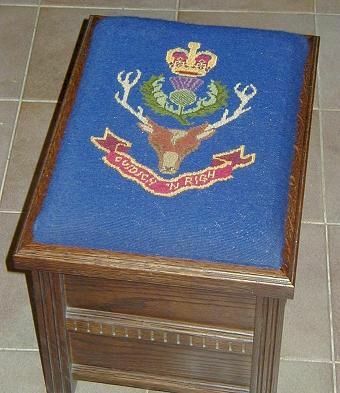 This design for the top of a foot stool/box was done for an old soldier from my grandfather’s regiment (the Seaforth Highlanders). 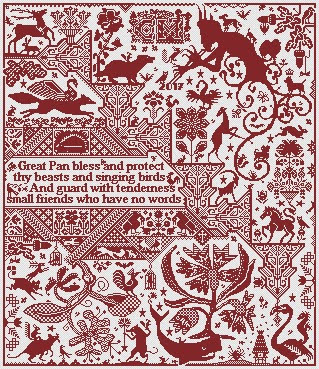 All I had to go on was a small, black and white print and the rest of the detail, such as verification of the colours and motto, was done via the internet. God bless Google! I liked it so much I did one for myself too. A good many of my patrons are shy about coming forward so it’s not possible to show every commission that I’ve undertaken over the years – this is just a sample to whet your appetite.